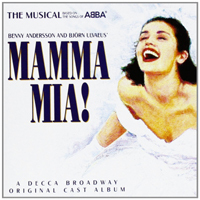 Film Soundtrack, 2008 (Polydor) (1 / 5) The London cast album was charming, if unnecessary. This recording is merely unnecessary. Think “karaoke night in a Malibu bar” and you’ve got an idea of this misbegotten project, in which a group of stars who are mostly under-endowed vocally try to demonstrate their pop musical comedy chops. Two of them do have the goods: Christine Baranski has a fun time partnering with actor Philip Michael on “Does Your Mother Know,” and Meryl Streep makes something reasonably touching out of “The Winner Takes it All.” Otherwise, the cast of wobbly warblers is largely drowned out by Gorän Arnberg’s bombastic orchestrations. The men fare worst: In “Our Last Summer,” Colin Firth, Pierce Brosnan, and Stellan Skarsgård seem locked in a competition to see who can sing the flattest. 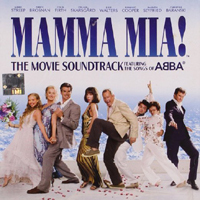 Brosnan is even worse in “When All is Said and Done,” a song not used in the stage edition of Mamma Mia! Oddly, one of the few pleasing tracks here is an extra of Amanda Seyfried offering a sensitive version of “I Have a Dream/Thank You for the Music.” The latter is performed only with piano accompaniment, and after all the preceding noise, it’s rather restful. — D.B.